Ms. Holm’s background includes twenty-five years of experience in arts and culture, direction of more than 60 art installations and 600 cultural events throughout the United States and Europe. 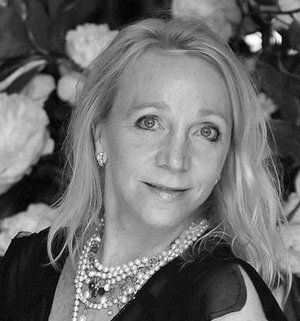 Ms. Holm is President and CEO of the Global Fine Art Awards program (which she founded in 2014), other recent career highlights include creating strategic partnerships in Art Basel (Switzerland) for a large media client, and private events during Art Basel Miami Beach for the past six years. A public relations and social media professional, she has an international network and media reach of over 1,000 targeted journalists and influencers in mainstream news, cultural publications and social media. Based in New York, she has also worked in Paris, Venice, London, Miami and San Francisco. She received bachelor’s degrees with honors in Economics and French Literature from U.C. Berkeley, and an MBA in Marketing from l’Ecole Superieure de Commerce de Paris (ESCP).